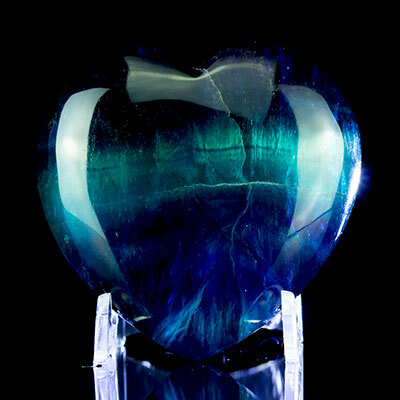 Rainbow Fluorite is a member of the Halides family. As the name suggests, it comes in a rainbow of colors! It can also have flecks of Pyrite inside. 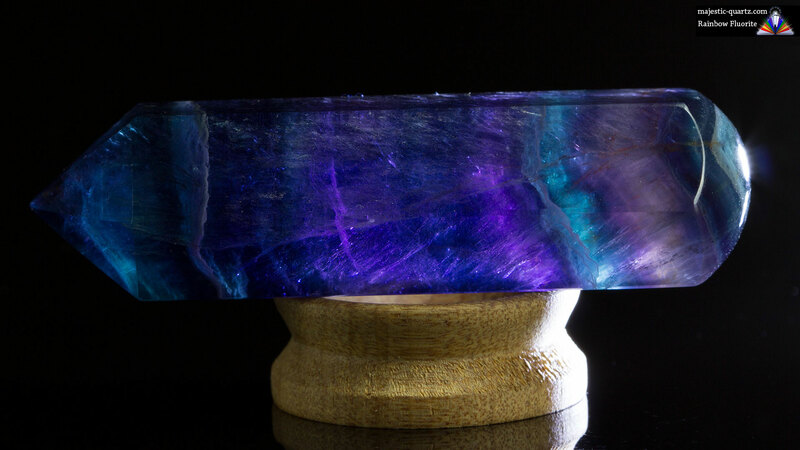 Read more about Rainbow Fluorite healing properties, with galleries and desktop image! For Sale @ Majestic Quartz? 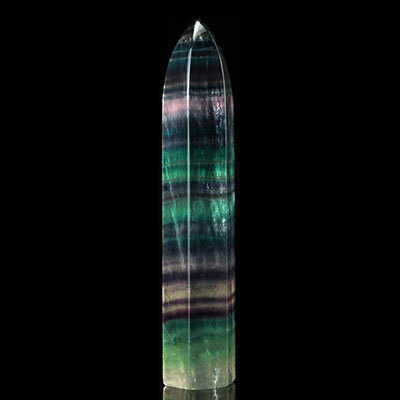 Rainbow Fluorite is a wonderful healer on many, many levels. Because of the large range of colors it has multiple talents! The green color has a strong focus on the devic realm, aura cleansing, and promoting purity in general. The purple has a focus on blueprinting the cellular structure, particularly the skeletal system, to pre-pollution mapping. (Modern day living has bought about pollutants such as heavy metals which corrupt the human cellular structure, giving rise to issues such as cancers, osteoporosis and so on). The purple portion then accelerates the cellular mitosis process, enabling the new cells being generated to follow the correct blueprint. The yellow/gold colors promote joy, happiness, well-being, and gives an all around boost in personal energy. The clear portion brings focus and clarity to both emotional and the mental senses. 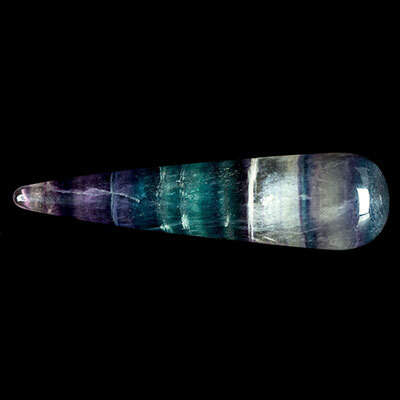 Rainbow Fluorite is a fantastic meditation tool. Choose the shape you like best – be it pyramid, sphere, free form, or octahedron. Gaze upon it, breathing the many healing colors into the physical body. Carry it around with you to help keep mentally calm and collected. 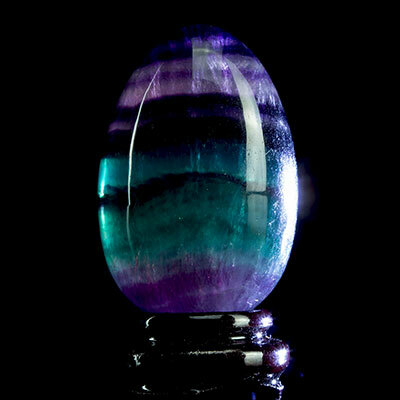 As Rainbow Fluorite mostly comes in cut and polished form, the shapes often lend themselves perfectly to massage, reflexology, and sphere/egg therapy (rolling the spheres/eggs around as a massage tool). 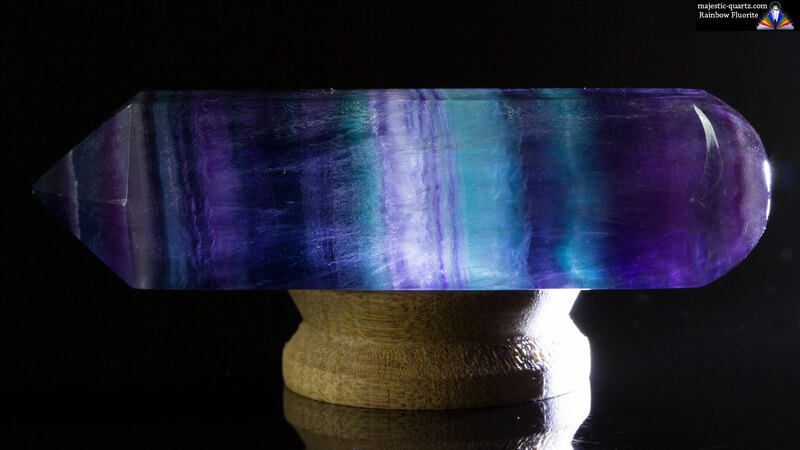 The multi-colors also make Rainbow Fluorite perfect for chakra therapy. 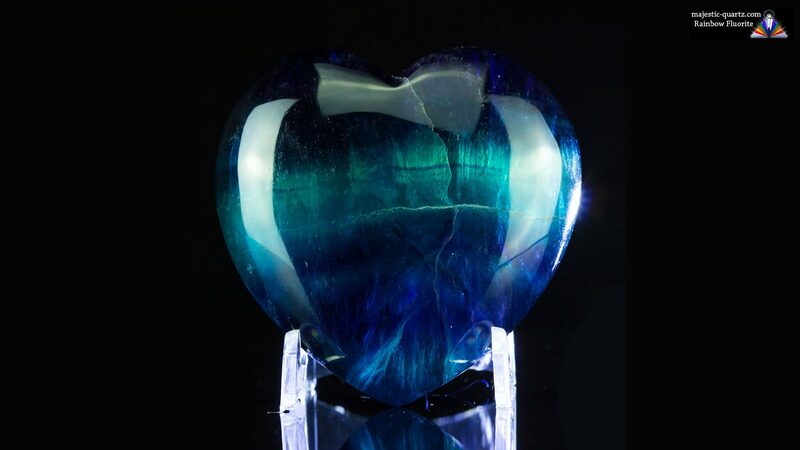 Rainbow Fluorite is a beautiful, captivating mineral that is appreciated not only by those that have a natural affinity and interest in crystals, but also those with no experience or knowledge of crystals at all. They make great gifts for those you care about and that you would like to help bring creative color-filled light into their lives! As Rainbow Fluorite comes in so many beautiful shapes and color variations, it makes for a near essential tool in anybody’s healing kit bag. 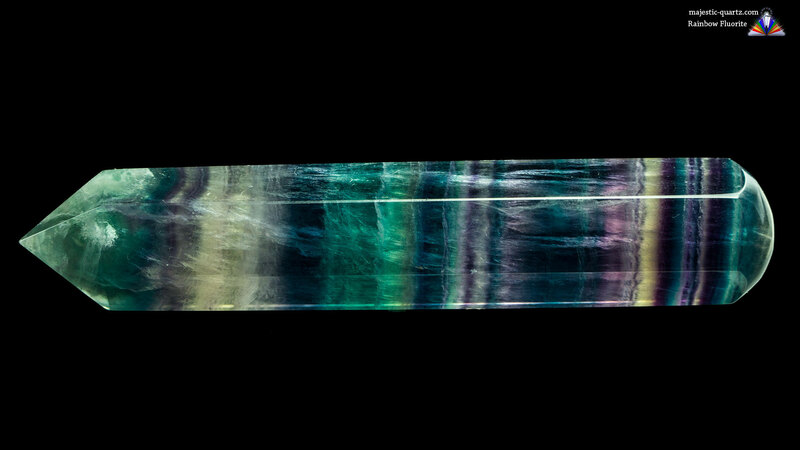 Click the Rainbow Fluorite photos below for a high resolution photo! Do you have a personal experience, question or information pertaining to the crystal healing properties and meaning of Rainbow Fluorite? Please feel free to use the comments form below to share your knowledge with the Crystal Information encyclopedia. Please note, we moderate this feature to keep the site free from unwanted spam. I saw rainbow fluorite crystals on a website for sale. I decided to look into the properties of this beautiful stone. Too bad it is not for July babies. They are absolutely beautiful. Hi Janis, although Rainbow Fluorite is not specifically a July Baby birthstone, it can still be very beneficial for just about everyone. Crystals work very much with the laws of attraction – if you like it, it will be great for you to work with! We have a Birthstone/Chakra relational chart you may be interested in – here is the link below. Here is a link to the Rainbow Fluorite items for sale at our sister site Majestic Quartz! While books and information websites like this one certainly have their place, we would like to point out they do not need to be used as virtual road maps when it comes to working with crystal energy. 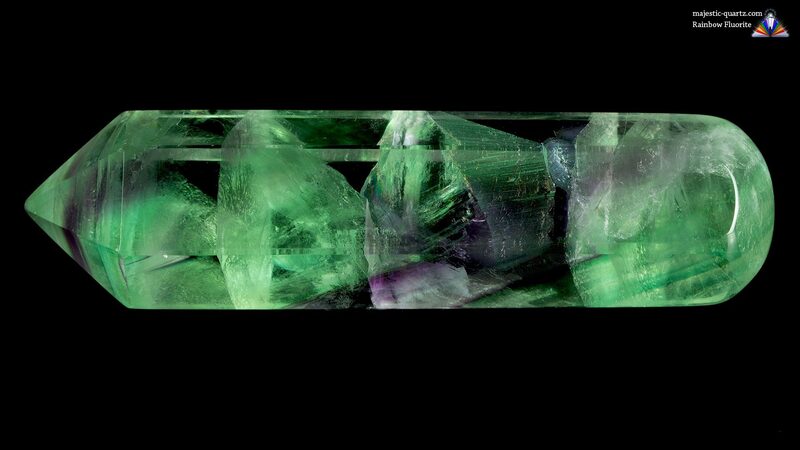 In some cases, reading a book or online article before working with a crystal could create expectations, these expectations could then possibly become a block to the relationship you could of otherwise had with said crystal! Thus we have created a table with key words pertaining to each crystal listed, these key words should be open enough to trigger intuitive visions and experiences one may then choose to apply when working with any given crystal. We recommend you hold a crystal, read the words within the table and then see if any intuitive inspirations come to you! So go on, give it a try!! !